Simply grease and flour your trays and tins, as our grandmother's did. I go one step further – I collect used butter foils from cafes and use these to grease my 'wares. Fold the foils in half and store in the butter compartment of your fridge. In the shooting of Simplicious Flow I used one sheet of baking paper (from a roll I had leftover from shooting a previous cookbook) for the whole shoot. I simply wiped it down between uses. Collect your (slightly soiled) serviettes from cafes and keep stacked in a drawer. Use any plastic that passes through your home instead. I'm not talking plastic carry bags (these will be completely banned Australia-wide soon). I'm talking Express Post bags, the plastic wrap some online purchases came wrapped in, your frozen pea bag! Cover food in bowls with a side plate. Leave leftovers in the pan if you're reheating in the next day or two. Cover bulky things on plates (the leftover roast?) with an upturned bowl. Never wash your cast-iron (you know this, right?) And if a dish has only held vegetables or fruit, or anything that's not fatty, simply rinse. And place in the crisper. They will keep happily for two to three weeks this way! Storing fruits and vegies in plastic bags is actually the worst thing to do (non-disposable waste aside). It sees them rot in their own ripening agents. I wrap rubber bands (retrieved from bunches of broccolini etc) around an old glass jar (with a lid) and keep it in my bag. It's my takeaway coffee cup (the rubber bands provide the insulating grip! ), as well as my water bottle and takeaway food container (I carry home any uneaten food from plates at the table when I go out). If your bananas are ripening too fast, store them in the fridge. The skins will go dark and brown, but the flesh will be perfect for a good five days. Bananas that are totally ripe, peel, break into chunks and store in the freezer to make smoothies and one-ingredient banana ice-cream. Fun fact: banana tastes sweeter when frozen. Place a ripe banana under your meat when cooking a roast – it will keep the meat moist. 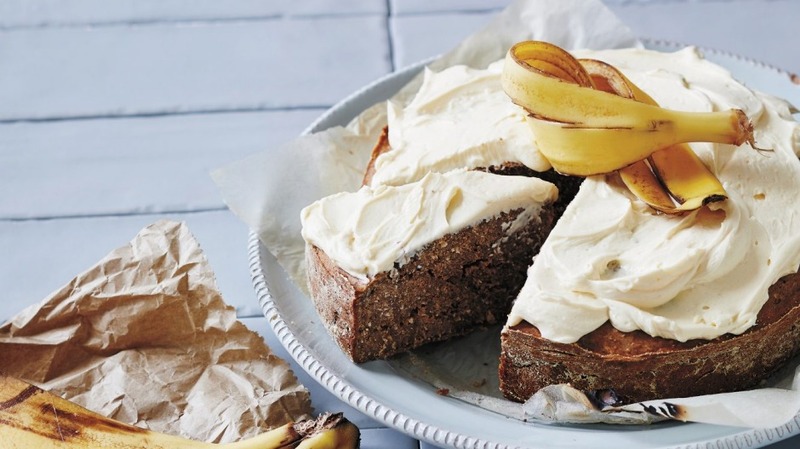 Or make my sugar-free banana peel cake (recipe below). Don't be scared of food poisoning when taking leftovers home from cafes and restaurants. If you get your meal to the fridge within two hours, and keep it there for no more than four days before eating (and reheat it in the microwave for at least two minutes until it's steaming hot), you won't land in trouble. The skins contain fibre, vitamins and minerals along with protective compounds that help plants defend and heal themselves... which in turn do us good. 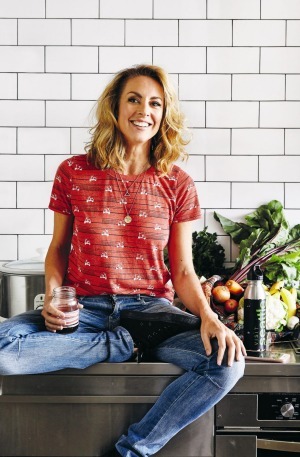 Things I don't peel include limes and lemons (the rinds contain anti-carcinogenetic properties; I drop whole citrus into smoothies etc) and I don't peel strawberries or kiwi if they're going in a smoothie either – the fibre is a boon! Tree nuts, for instance, go rancid very quickly when exposed to heat, light and air. They'll last six to 12 months in the freezer, however. Triple the life of your flour and herbs by doing the same. Plus know this: A freezer runs more efficiently when full. This is because solids freeze at a higher temperature than air. I got bored for a minute and worked out that Australians eat 5 million bananas a day (!) and given that the peel makes up 12 per cent of a banana's weight, we conceivably toss 49,680,000 kilograms of peels a year. Don't find this so interesting? OK, perhaps the fact that you can cook with banana peel is. The peel provides a great fruity flavour and gummy texture. This cake, which my friend Claire Snel thought up, has a very earnest, dense and filling vibe, very much like a legit breakfast banana bread. You only need a thin slice. Trust me. Plus it contains less than two teaspoons of sugar per serve. 1. Preheat the oven to 190C (170C fan-forced). Grease a 21cm round cake tin with a little softened butter. 2. Place the banana peels in a food processor with 1/4 cup water and blitz to a thick puree. 3. Add the vanilla, butter, rice malt syrup and egg yolks and process for 30 seconds or until creamy. Add the flour, coconut, baking powder and cinnamon and pulse until the mixture forms a batter. Transfer the batter to a mixing bowl. 4. Whisk the egg whites to stiff peaks. Gently fold the egg whites and walnuts through the batter and transfer to the prepared tin. 5. Bake for 45 to 50 minutes, or until the top crusts slightly and a skewer inserted in the centre comes out clean. Allow to cool in the tin for a few minutes before turning out onto a wire rack to cool completely. 6. Meanwhile, to make the frosting, place all of the ingredients except the butter in a high-speed blender and blitz until combined. Gradually add the butter until the mixture is thick but still spreadable. If needed, add more butter. Spread the frosting over the cooled cake. Store in an airtight container in the fridge for up to one week, or freeze it (minus the icing) for up to three months. Tip: For banana peel bread, make in a standard loaf tin and serve toasted with butter (no icing). 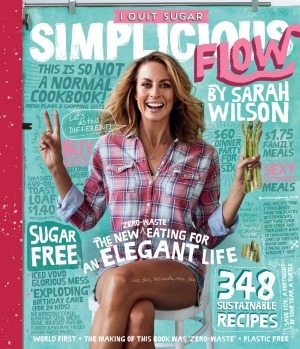 Recipe and hacks from Sarah Wilson's latest book I Quit Sugar Simplicious Flow, published by Pan Macmillan, RRP $45, available nationally.